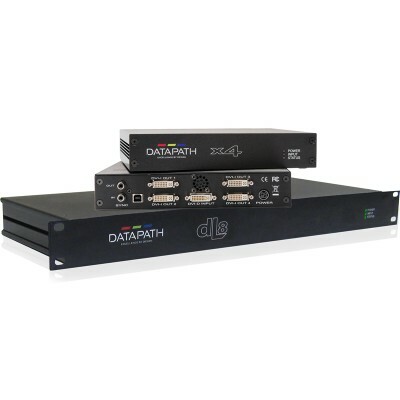 Datapath dL8 Distribution Amplifier is an eight output distribution amplifier for ultra-high resolution Dual-Link DVI signals providing a programmable, flexible and low cost solution for any video wall display. When used in conjunction with up to 8 Datapath x4 stand alone wall controllers, the Datapath dL8 supports up to 32 screens display walls. 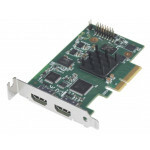 One Dual-Link DVI output, supporting graphics sources with pixel clocks up to 330MHz and resolutions beyond Quad-HD (3480 x 2160), can be delivered to eight outputs on separate DVI-D (Dual-Link) connectors. This Distribution Amplifier supports up to 20m even at full Dual Link resolutions due to additional active equalisation and re-clocking hardware, allowing convenient location for flexible display designs. 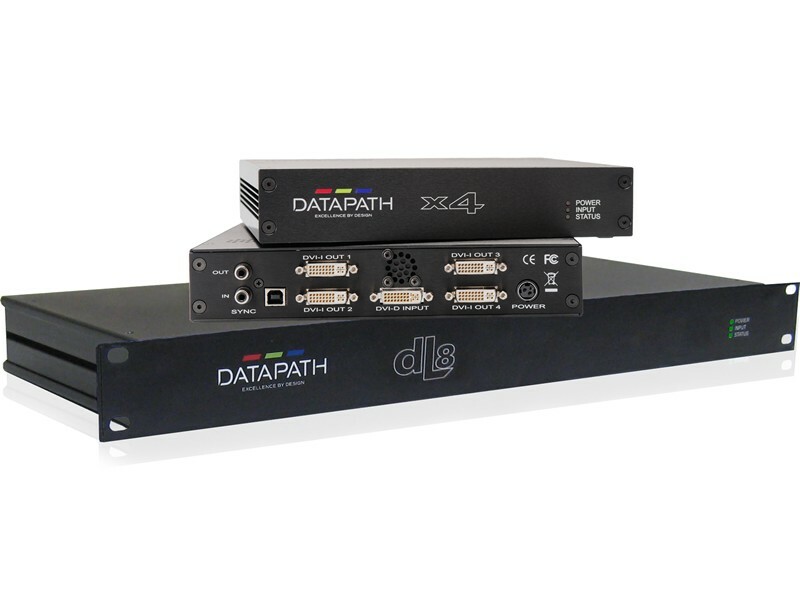 The Datapath dL8 has been design and developed to operate with the x4 stand alone wall controller. This is a perfect partnership of a dL8 and up to eight Datapath x4 stand alone display wall controllers, allows the user to utilise their creative imagination to construct display solutions for digital signage applications and video walls. Each of the x4 units can accept one of Dual-Link DVI output from thedL8 and select four arbitrary regions from it for display all standard DVI (Single link)/ HDMI monitors. 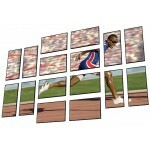 Using this solution it is possible to create up to 32 screen video walls, with complex display wall arrangements for any mixture of landscape and portrait display formats. 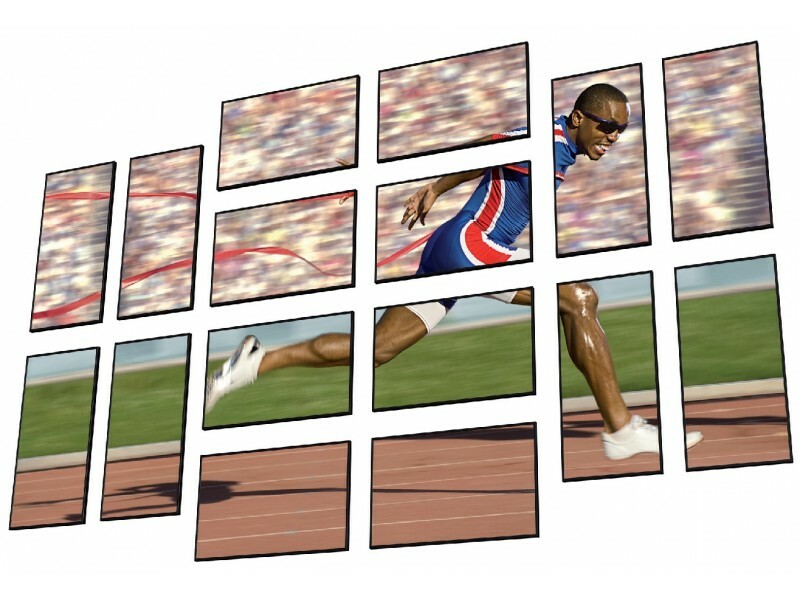 Since the dL8 guarantees that all eight outputs are exactly locked to the same, all these 32 screens can be frame-locked for optimum display of creative, dynamic content. This solution offers easy installation, low maintenance and high resolution visualisations. At high resolution, DVI signals cannot normally be guaranteed beyond 5m cables due to the nature of signal losses inherent in the DVI cables and connectors. It has a fully programmable EDID to graphics source, allowing simple control of resolution and frame rate. Through active equalisation and re-clocking hardware it supports source cable lengths up to 20m at full Dual-Link resolutions. The high quality re-clocking signal processing ensures that any timing skews that might be introduced by the lower cost input cables can be corrected within the dL8, maximising the signal quality of the output signals. Creative 32 screen display wall using a Datapath dL8 in conjunction with eight Datapath x4 units.